​Leicester City goalkeeper Kasper Schmeichel has led the heartfelt tributes to Vichai Srivaddhanaprabha after it was confirmed that the Foxes owner was one of the five people to lose their lives in the helicopter crash outside the King Power Stadium on Saturday. Thai billionaire Srivaddhanaprabha had bought Leicester in the midst of the club's financial turmoil in 2010 and was well liked by fans and in the community for various kind acts such as major donations to local charities and hospitals, as well as free gifts for supporters on match days. ​​Schmeichel described himself as 'totally devastated and heartbroken'. "It is difficult to put into words how much you have meant to this football club and to the city of Leicester. We all know about the investment in the football you and your family have made. But this is about so much more," the 31-year-old said in a statement posted on Twitter. "You cared so deeply for not just the club but for the entire community. Your endless contribution to Leicester's hospitals and charities will never be forgotten. You went above and beyond in every aspect. "Never have I come across a man like you. So hard working, so dedicated, so passionate, so kind and so generous in the extreme. It didn't matter who it was, you had time for them. I always admired you as a leader, as a father and as a man." 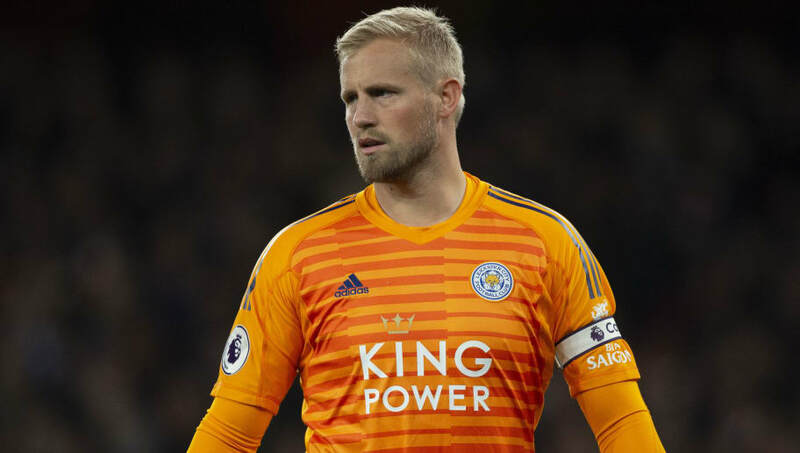 Schmeichel went on to reveal that Srivaddhanaprabha had assured him ​Leicester would be playing Champions League football in six years when the Danish stopper was signed from Leeds in 2011. Incredibly, the Foxes managed it in five after securing promotion from the Championship in 2014 and then winning the most unlikely Premier League title two years later. "You inspired me and I believed in you. You made me feel like nothing was impossible. Without you and your family, all this, everything we did together, everything we achieved would never have happened. You gave me experiences that only happen in fantasy," the player said. Schmeichel further spoke of the 'vision' that Srivaddhanaprabha had for Leicester, the environment he was able to create and the 'infectious smile and enthusiasm that rubbed off on everyone'. "I am truly honoured and privileged to have been a small part of your life." Jamie Vardy posted this message on Instagram alongside a picture of himself with a smiling Srivaddhanaprabha: "Struggling to find the right words....but to me you are legend, an incredible man who had the biggest heart, the soul of Leicester City Football Club. Thank you for everything you did for me, my family and our club. I will truly miss you....may you rest in peace,"
Leicester defender Harry Maguire tweeted his sorrow: "Words can't describe how I feel. A truly great, kind, loving man who will be missed so much by everyone. I will never forget the Chairman's support, not only during my time at Leicester but also during the World Cup." Wes Morgan and others also paid tribute to 'The Boss'. Gary Lineker had this to say: "A quiet, unassuming man who will always be remembered with great fondness and respect. He also helped to bring the most magical, miraculous title win in the history of football. Thank you, Chairman for all you did for our football club." ​​Prince William, Duke of Cambridge and president of The Football Association, issued a statement describing Srivaddhanaprabha as a 'businessman of strong values who was dedicated to his family' and applauding 'such a big contribution to football'. ​​Leicester's upcoming EFL Cup tie against Southampton this week has been postponed.